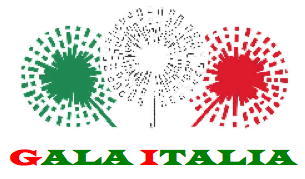 Registration for the Gala Italia is now open! 2) Once you have completed this form, click “Submit.” This will automatically bring you to the payment page where you can purchase your ticket(s) to Gala Italia. 3) After purchasing your tickets, you will receive an electronic receipt in your e-mail inbox. Please bring this receipt with you to the Gala Italia admissions desk on the day of the event.